Do you have an Audible membership? If you don’t, you can sign up now and get 2 free books! 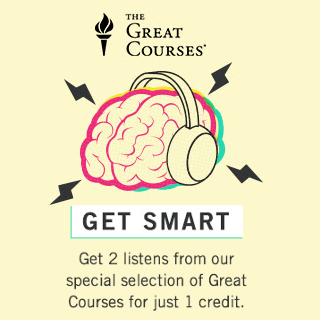 Once you get into your account, make sure to take a look at the special they have going on through 6/23 on Great Courses. Dozens of titles for Buy one, get one free! Make sure to click each category at the top to see the full selection. We love using Great Courses in our homeschool! There are quite a few titles that sound appealing to me: The Art of Public Speaking, Events That Changed History, and How We Learn are a few titles that might end up in my cart. I’d love to hear your favorites!